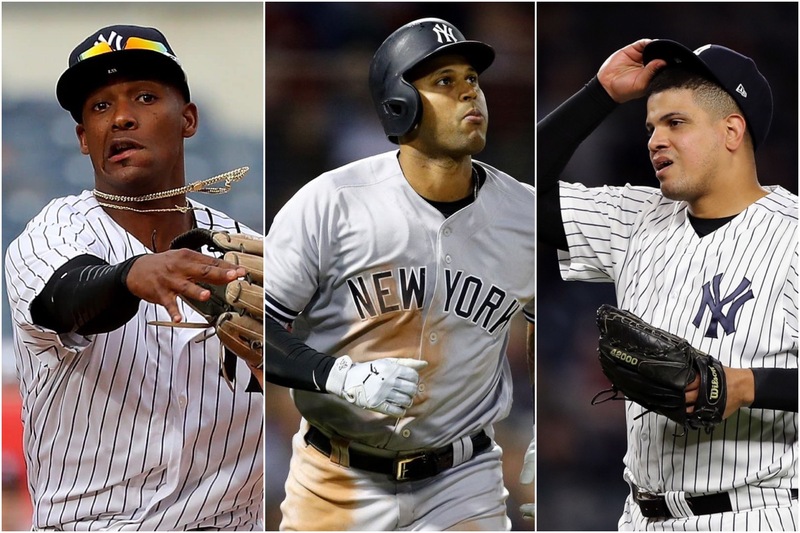 At this point I’m so sick and tired of talking about Yankees injuries, but we got more updates on some key players today after the news that Gary Sanchez is heading to the 10-day IL. Dellin Betances is back in NY for another MRI. Did not have good results from yesterday’s simulated game. This is potentially the most devastating news of the day. Betances did not have a good sim game and headed back to New York for an MRI, but the Yankees don’t have results yet. Dellin had been dealing with decreased velocity in spring training and was shut down early in camp. At the time we did not think much of it because he had dealt with decreased velocity in the past and got through it, but this time it might jeopardize his season depending on the MRI results. It’s especially concerning for Betances who is a free agent after this year. Some good news! Kinda… At least it isn’t a setback for Hicks, who has been out of game action since early March. Originally he thought he’d be back during the first week of the regular season, but obviously we are way past that. Hicks will need to go through many rehab games considering he did not really have a spring training. Late May is a hopeful guess for Hicks’ return to the Yankees. Some good news on the Miguel Andujar front: he took 25 “dry” swings, 25 off a tee today, and reported no discomfort. Andujar said he was swinging at about 50% of his normal effort. Despite Hoch saying this is good news, I’m going to hold off on using that adjective. I’ll agree, it isn’t bad news. But what are we talking about here? “Dry” swings at 50% effort? Until he is taking real hacks I’m not getting my hopes up.